Let’s do something amazing together. TRILLIUM MACHINE is a unique CNC Machining company that specializes is in on-time and on-budget machined parts. From the most intricate, detailed parts to the most robust parts, Trillium has been the trusted source for the aerospace, aircraft, military defense, medical, and dental industries for over 30 years. Dreaming big and machining excellent parts is at the heart of our company. Let us dream big together and hear your next project. Give us a call, send us an email, or submit a Request for Proposal to let us know more about your machining needs! What are your machining specialties? Although we have capabilities to do large parts we specialize in mill turn parts that are smaller than 3” in diameter and less than 6” long. For our swiss style machines we specialize in 1.25” and smaller diameters with complicated features and tight tolerances. Do you offer prototype machining services? Yes we have the capabilities and lead time to offer quick turn prototype machining. 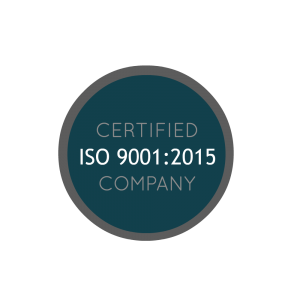 Yes we have been ISO 9001:2018 certified since August 2017. Our general lead time is 4 weeks but we are able to expedite orders if needed. What types of materials do you process? We are able to machine aluminum, steel, stainless steel, titanium, and most plastics. Do you provide the materials? We normally quote with us providing material but if you already have the material or you would like to provide it for traceablity reasons just let us know during the quoting process and we not charge for material. What is your minimum run quantity? Quantity 1 is our minimum run quantity for our mill turn machines with more economic pricing starts around quantity 50 pieces. Swiss style machines our minimum run quantity would be 5 but the pricing would be more economical after 150 pieces. What types of project files are accepted? PDF’s and most 3d solid model files. Do you work with highly sensitive and classified data? Do you have a confidentiality agreement? Yes – We are able to sign your companies NDA agreements as needed. NDA Most companies that need trick (complex) parts require NDA. Do you offer total project management services with outsourcing? Yes we are able to source material, machine, finish and assemble most projects. What other types of services do you offer? We are able to machine, wire edm, inspect, lasermark with serialization, assemble and anodize titanium. To submit your RFQ, please fill out the form below. We’ll respond as soon as possible. We will respond shortly with a confirmation email letting you know that we have received your request. Most standard RFQ’s, less complicated geometries and outside processing, received before 12:00pm Pacific will receive a Quote before 4pm Pacific on the same day. For Non standard RFQ’s, (complicated part geometry, hard to find materials, and difficult to source outside processing) we will notify you of our timeline to respond with your quote as soon as we have processed your RFQ. If you are a CNC Machining Expert and pride yourself on creating excellent work, connect with us to learn more about the current opportunities with Trillium Machine. We run a fast-paced, casual operation and are driven by the work of our excellent employees. We thrive on strong work principles, value innovative thinking, and reward outstanding efforts. STRIVE: Strive to be the best. ADAPT: Adapt when things do not go as planned. PRIDE: Take pride in your work. If this sounds like you, we look forward to hearing from you soon! Fill out the form to get the ball rolling. 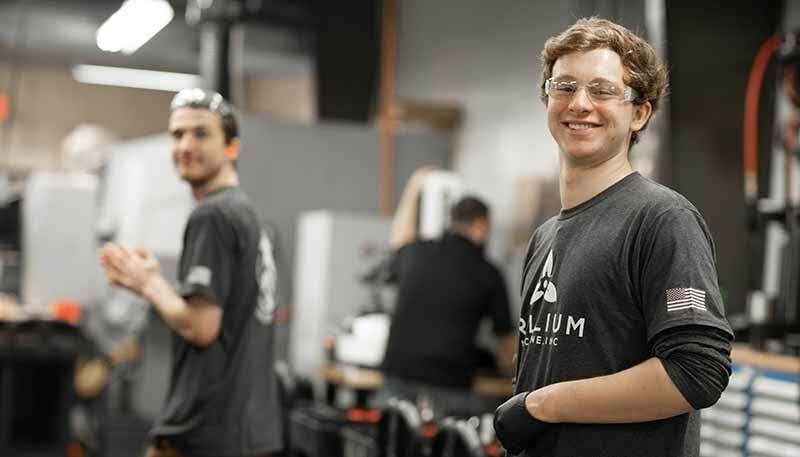 Trillium Machine, Inc. is dedicated to our customers and provides quality craftsmanship to meet and/or exceed expectations of our machined parts. Trillium is committed to continual maintenance, improvements, and enhancements of our machining facility. We are also committed to the continual advancement of our processes and procedures. We stand by our produced parts with a Quality Guarantee.